Dr Michele Allan is a food industry and agribusiness specialist who has held senior executive and director positions in the food and education sectors, and has an academic background in biomedical science, management and law. Dr Allan is the current Chair of Apple and Pear Australia Limited and current Chair of Meat and Livestock Australia. Her current board positions include Grain Growers Limited, Innovation and Science Australia, CSIRO and Nuffield Australia. Dr Allan has held non-executive director positions with the Grains and Legumes Nutrition Council (formerly Go Grains Health & Nutrition), Patties Foods Limited, the Dairy Research and Development Corporation (now part of Dairy Australia), Forest and Wood Products Australia, Food Standards Australia and New Zealand, Tasmanian Irrigation, Callaghan Innovation, RuralCo and Birchip Cropping Group. In 2013, she was appointed by the Commonwealth Minister for Agriculture to chair the Wheat Industry Advisory Taskforce. In 2014, she was appointed by the Federal Government to lead the Tasmanian Fruit and Vegetable Taskforce. In 2016, she was appointed by the Federal Government to the Expert Panel, Driving Innovation, Fairness and Excellence in Australian Higher Education. Prior to commencing her board career, Dr Allan was Managing Director and Chief Executive Officer of Patties Foods Limited until 2008, and held executive roles with Amcor Limited, Tasmanian Bioinformatics Centre of Excellence, Bonlac Foods Limited, Kraft Foods and ICI Dulux. 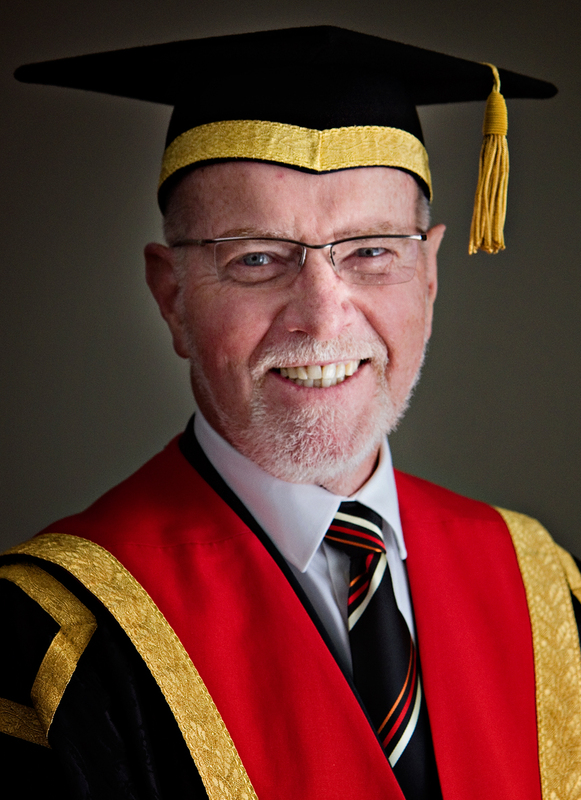 Dr Allan has a Bachelor of Applied Science Major – Biomedical Science – Cytology from University Technology Sydney, Master of Management (Technology) from the University of Melbourne, Doctor of Business Administration from Royal Melbourne Institute of Technology and a Master of Commercial Law from Deakin University. She is also a Fellow of the Australian Institute of Company Directors. Mr Peter Hayes has extensive experience across education and training, R&D investment and management, viticultural operations, irrigation sector and government and industry affairs in a 30+ year career in the wine industry. Working across the public and private sector, career appointments include Lecturer/Senior Lecturer/Vice Principal, Dookie Agricultural College; State Viticulturist and Statewide Industry Officer (Fruit and Vines), Victoria; Executive Director, Grape and Wine Research and Development Corporation (GWRDC); Acting Chief Executive, Cooperative Research Centre for Viticulture (CRCV); Director of Viticulture, Rosemount Estates; National Viticulturist and Industry Affairs Manager, Southcorp Wines. He has been an active promoter and developer of personnel training and development activity including short-courses on vineyard development, spray machinery operation/calibration, disease monitoring and management and he initiated development of the CRCV's most successful "Research to Practice" series of professional development activities. Industry positions held in the past include Council Member, Australian Wine Research Institute (AWRI); President, Australian Society of Viticulture and Oenology (ASVO); President and 1st Vice-President of the International Organisation of Vine and Wine (OIV); Chairman, CRC for Irrigation Futures; board member, GWRDC and Independent Chairman of McLaren Vale Grape Wine & Tourism Association amongst others. 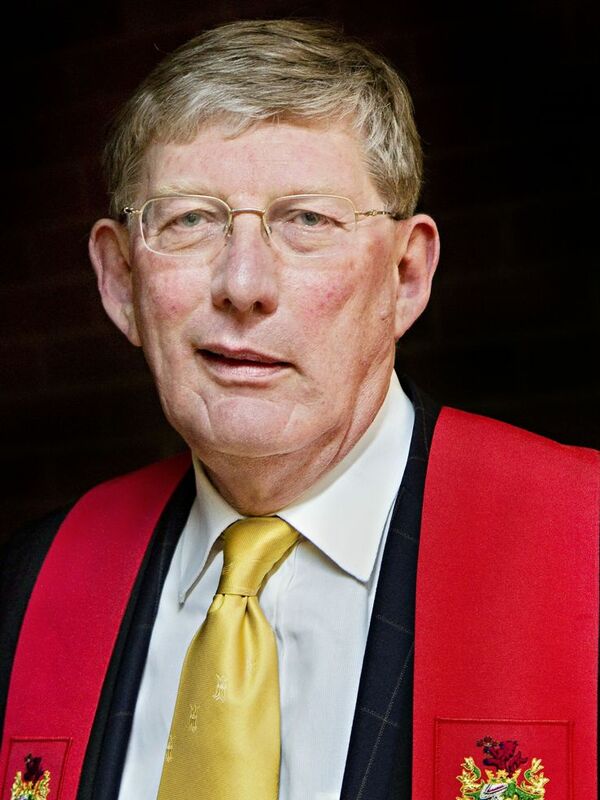 In 2016, Mr Hayes was awarded the member of the Order of Australia (AM) "For significant service to the Australian winemaking and grape growing industry, to viticultural research and to tertiary education". He is also a society 'fellow' of the ASVO, a title given to members who have made a particularly outstanding and meritorious contribution to the grape and wine industry. The criteria for this award include making a major contribution in an industry, scientific, educational or Society role and having been a member of the Society for at least 10 years. At present he operates as an independent Wine Industry Strategist and Advisor with activity in Australia, India and most recently the UK. He is also a council member of Charles Sturt University (CSU), a board member of IAL (Irrigation Australia Ltd) and is an Honorary President of the OIV. Qualifications held are B.Sc. (University of Melbourne), Dip.Ed. (Monash University), B.App.Sci-Wine Science (Riverina College/CSU); MS-Horticulture (UCD). Professor Vann trained as a civil engineer and worked in engineering consultancy before completing a PhD in the Civil Engineering Systems Group at University of Bristol in 1994. He lectured in structural engineering at University of Bristol prior to coming to Australia in 1996 where he took up a similar post in the Faculty of Engineering at Central Queensland University in Rockhampton. During this time he pursued research interests in structural monitoring and artificial intelligence as well as leading pedagogical change in moving the Bachelor of Engineering at CQU to a project-based format. 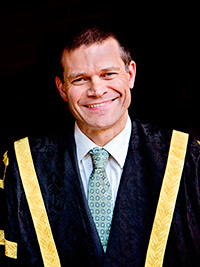 He held various senior academic and administrative roles at CQU before joining James Cook University in North Queensland in 2004 as Pro Vice-Chancellor Information Services and Technologies, subsequently Pro Vice Chancellor and, from 2008, was Senior Deputy Vice-Chancellor with responsibility for the Faculties and Teaching and Learning. 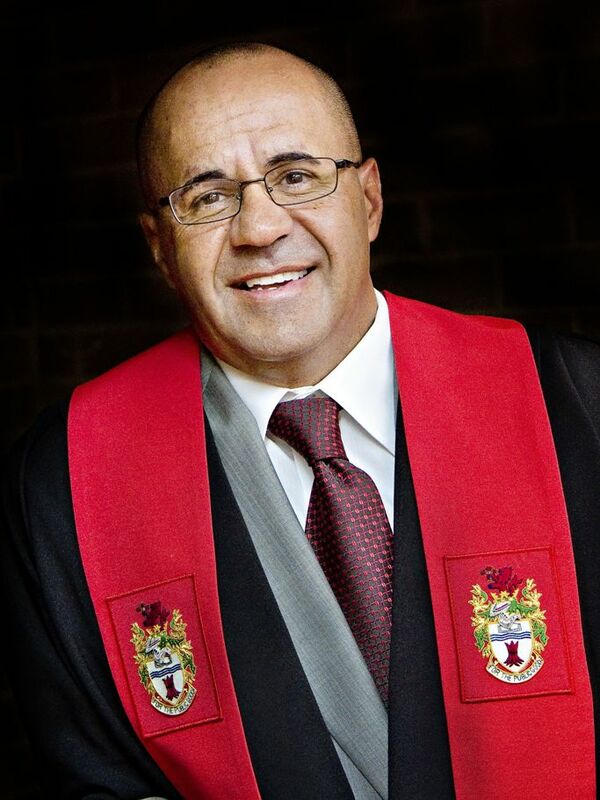 He has held a number of board and community leadership roles, is a Fellow of the Australian Institute of Company Directors, a Fellow of the Institute of Managers and Leaders, a Fellow of Engineers Australia and an Associate Fellow of the Australian Rural Leadership Foundation. Mr Graeme Bailey has had over 35 years in a professional services environment, rising initially to the position of National Managing Partner, Tax and Legal, of KPMG Australia in 1997. During the time in leadership and management positions in the NSW Practice and the Australian firm, Mr Bailey was a member of the Sydney Office Executive Committee, the National Executive Committee, KPMG's Asia Pacific Tax Committee and the KPMG International Tax Steering Group. Mr Bailey was then appointed as Chief Operating officer of KPMG Asia Pacific in July 2002 and a member of the KPMG Asia Pacific Board. He also sat on Oversight Boards which reviewed and monitored the performance of KPMG practices in Vietnam, Cambodia and KPMG China which determined the overall strategic direction of those organisations. Mr Bailey personally monitored the performance of all KPMG member Firms in Asia and had a special role in driving the integration of the KPMG and Arthur Andersen Member Firms in various countries after the merger with the Andersen practices in 2003. In his regional position with KPMG International he was responsible for ensuring that all KPMG Member Firms in Asia Pacific were performing in accordance with KPMG International's standards. Mr Bailey holds a Bachelor of Commerce degree from the University of NSW and is a Fellow of the Institute of Chartered Accountants. Mr Neville Page's career spans over forty years in investment management and corporate treasury roles. Mr Page's most recent executive role was as Chief Executive Officer of Wilshire Global Advisors Ltd and Wilshire Australia, a specialist private equity manager. Prior to joining Wilshire, he was Chief Executive Officer of Total Risk Management Pty Limited, and Chief Investment Officer of Commonwealth Funds Management Limited. Mr Page also served as Finance Manager at Philips Industries Holdings Limited, including a period in the International Treasury Department of the company in The Netherlands. He is Managing Director of a family owned company, Abels Music Associates Pty Limited, which is a wholesale exporter of recorded classical music. Mr Page received both his Bachelor and Master degrees in Commerce from the University of New South Wales. He is a Fellow of the Australian Society of Certified Practising Accountants, and a Fellow of the Institute of Public Accountants. Ms Saranne Cooke is a professional director and chair with experience on a variety of boards across the education, health, sport, superannuation and not-for-profit sectors. Ms Cooke is a Racing NSW Board Member, a HESTA Trustee Board member, a Director of Western Health Alliance Ltd (Western NSW Primary Health Network), a Director of Leading Age Services Australia, and the inaugural Chair of the Western Region NSW Committee of the Australian Institute of Company Directors. Prior to her career as a professional director, Ms Cooke held a number of senior roles within energy, banking and manufacturing industries. Ms Cooke holds a Bachelor of Commerce, Master of Business (Marketing), and a Master of Commercial Law. She is a Graduate Member of the Australian Institute of Company Directors, a Fellow Certified Practising Accountant, a Fellow of the Australian Marketing Institute, a Certified Practising Marketer and a member of the Golden Key International Honour Society. She is also currently undertaking a PhD in Board Governance across the ASX200. Dr Cornick is currently the Chief Executive Officer at LaunchVic, which is the Victorian Government’s $60M initiative to accelerate start-ups, drive new ideas and create jobs in Victoria. LaunchVic works in partnership with entrepreneurs, industry, business, the community and educational institutions to strengthen Victoria’s entrepreneurial and start-up ecosystem. Prior to this appointment, Dr Cornick was CEO of ASX listed startup Rision Ltd. Her previous positions include Director of Innovation and Industry Engagement at the University of Melbourne, and the General Manager, Health and Education at NBN Co. Dr Cornick has also held the position of Senior Telecommunications Adviser and Deputy Chief of Staff to Senator Stephen Conroy, the Minister for Broadband, Communications and the Digital Economy, this role entailed advising on the National Broadband Network policy, consumer issues and regional telecommunications. Dr Cornick serves as a Non-Executive Director on a number of boards, including the Victorian Government Innovation Expert Panel, the Australian Information Industry Association (AIIA), the Melbourne Networked Society Institute. Dr Cornick undertook her PhD in optical telecommunications at the University of Melbourne and, as part of her studies, spent time at AT&T Research Laboratories, USA. She also has a Bachelor of Engineering (Electrical and Electronics Engineering) and Bachelor of Science (Physics and Philosophy). Dr Cornick is deeply passionate about the role of innovation in our economy and society and has considerable experience in technology innovation and change management across start-ups, academia, corporate and government. Ms Jennifer Hayes has over 20 years' experience working in senior roles in fast moving consumer goods, primary health, water utilities and education sectors in Australia, New Zealand and Europe. She has held senior positions with Mars, Incorporated, as Finance Director Central Europe, Group Financial Controller Australia/New Zealand and CFO New Zealand. Her Executive roles have included responsibility for Governance, Risk Management, Corporate Strategy, Marketing & Communications, and Human Resource Management. Ms Hayes is a Certified Practising Accountant; a graduate member of the Australian Institute of Company Directors and holds a Bachelor of Business in Accountancy and Master of Business from Charles Sturt University. Ms Hayes is a co-founder of the not-for-profit organisation 'City2City', which was a finalist in the 2017 NSW Business Chamber Awards. ‘City2City’ has raised $320,000 in just three-years and has rallied the community to fund life-saving equipment for the local hospital, Albury Wodonga Health. 'City2City' was also recognised as Community Group of the Year in the Albury City 2018 Australia Day Awards. This is Ms McMahon's second term on the University Council, being re-elected by her fellow students in 2018. Ms Elise McMahon is a third year Physiotherapist student at Charles Sturt University who has a strong interest in musculoskeletal physiotherapy and rehabilitation. She is currently undertaking her honours degree in research that focuses on the relationship between classical ballet technique and injury in professional dancers under the supervision of Professor Rodney Pope and Dr Katharine Freire. Post study, she aims to pursue a career working with elite level dancers and injury while also continuing her research associated with dance medicine. 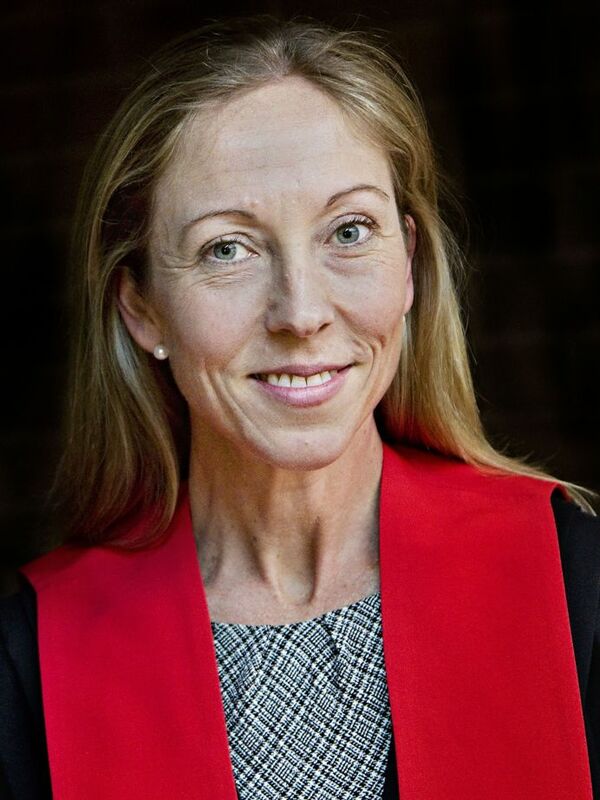 Beginning as a Bachelor of Laws/Science student at La Trobe University, Ms McMahon sat on numerous committees that initiated her interest in leadership and governance. 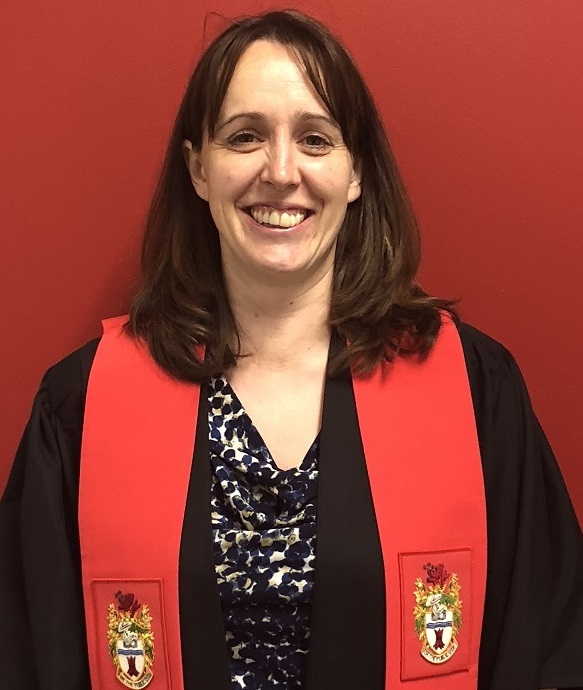 In 2016, she moved to CSU in Albury-Wodonga to pursue her goal of studying physiotherapy where she continued her interest in governance and leadership by being successfully elected by her peers to the membership of the University Council. Ms McMahon has received numerous academic awards for her achievements extending from her school years into tertiary study. She was Dux of three Victorian Certificate of Education (VCE) subjects at Santa Maria College and received scholarships for academic achievement and community involvement in 2014, 2015, 2016 and 2017 to assist in her academic studies at university. Ms McMahon is also an ambassador for the Choose Maths awards that are run by the Australian Mathematical Sciences Institute (AMSI) who have the aim of encouraging STEM subjects in young women and the promotion of women in the STEM industry. Mr Jamie Newman is the CEO of Orange Aboriginal Medical Services, Chairperson, Bila Muuji Aboriginal Health Services Incorporated and Chairperson, Orange Local Aboriginal Land Council, and Director, Kenjarhy Aboriginal Mining Services. He has extensive experience in Indigenous health. Mr Newman is a descendant of the Kalar tribe, of the Wiradjuri Nation, has over twenty years' experience working with and for Aboriginal communities at all levels of the Government and Non-Government sector, and is a well-respected leader in the Aboriginal community. Mr Newman holds a Bachelor of Health Science, Community and Public Health degree from Charles Sturt University. He lives in Orange, New South Wales. Ms Lisa Schofield, General Manager of the Offshore Resources Branch in the Resources Division of the Department of Industry and Science, has over fifteen years' experience working in the Australian public policy and higher education sectors. Since 2016, Ms Schofield has been managing and regulating Australia's offshore oil and gas activities. Before this, she spent five years advising the government on policy to encourage collaboration between the research sector and business to generate solutions that lead to improved productivity, international competitiveness and address national and international challenges. Ms Schofield also works to support entrepreneurs and innovative businesses. This includes advice on collaborative research in science and technology; industry-research linkages; the new Entrepreneurs'' Infrastructure Programme; and the Cooperative Research Centres (CRC) Programme. Previously, she led the taskforce to develop the new quality assurance and regulatory framework for Australian higher education, including the successful establishment of the Tertiary Education Quality and Standards Agency and the development of the Higher Education Standards Framework. Ms Schofield was also the Higher Education Advisor to the Minister for Education, Employment and Workplace Relations during the 2010 Australian federal election. 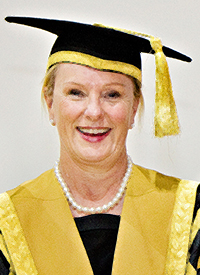 Her other significant roles include Director of the Education Investment Fund in Department of Education, Employment and Workplace Relations (DEEWR), various roles in the Australian Government Department of Finance and Deregulation, and a key role in the Office of the Vice-Chancellor at Charles Sturt University. Ms Schofield holds a Bachelor of Arts – Communications from Charles Sturt University. She has been a local City Councillor and the Chair of a number of community organisations. Julie is the Director, Innovation and Improvement of the Division of Student Administration, Charles Sturt University (CSU). Ms Cleary's responsibilities include overseeing Student Central, Student Innovations and Systems, Graduation, Examinations and Timetabling. In 2001, Ms Cleary joined the University and over the years has performed a number of varied roles including the Director, Client Engagement; Albury-Wodonga Head of Campus; Manager, Innovation and Capability; Manager, Admissions; Manager CSU Ontario; Manager, Student Administration, Wagga Wagga campus; and Deputy University Secretary and Manager, Corporate Affairs. During her career, Ms Cleary has held many positions including working as a teacher with the Riverina Institute of TAFE and the Albury-Wodonga Continuing Education Centre, the Snowy Mountains Hydro Authority and the Albury-Wodonga Development Corporation. She also spent an interesting couple of years as Travel Officer to the Hon. Tim Fisher MP. Her passion for adult education lead Ms Cleary to complete a Bachelor of Education, Master of Education and Graduate Certificate in Management. Ms Cleary has been an active member of NSW/ACT Association for Tertiary Education Management (ATEM) since 2005 and was Deputy Chair, Professional Development, NSW/ACT ATEM Committee from 2011 to 2014. In addition, she was the Co-Chair of Charles Sturt University’s Leadership Development for Women (LDW) Steering Committee and has actively mentored participants of the L H Martin/ATEM ELAMP (Emerging Leadership and Management Program). Associate Professor Shokoofeh Shamsi started her research career in 1993 as a Research Fellow in the Iranian Fisheries Research Institute (IFRI). In 2002, she received scholarships from the Australian government and the University of Melbourne (International Postgraduate Research Scholarship (IPRS) and Melbourne International Fee Remission Scholarships (MIRSs)) to undertake a PhD in Veterinary Parasitology in the University of Melbourne. After completion of her PhD, she worked as the Director and Senior Research Fellow in the Departments of Marine and Freshwater Health and Diseases (IFRI) in Iran, followed by a Post Doctorate at RMIT University, Melbourne. Associate Professor Shamsi joined the University in January 2010 as a lecturer in Veterinary Parasitology. 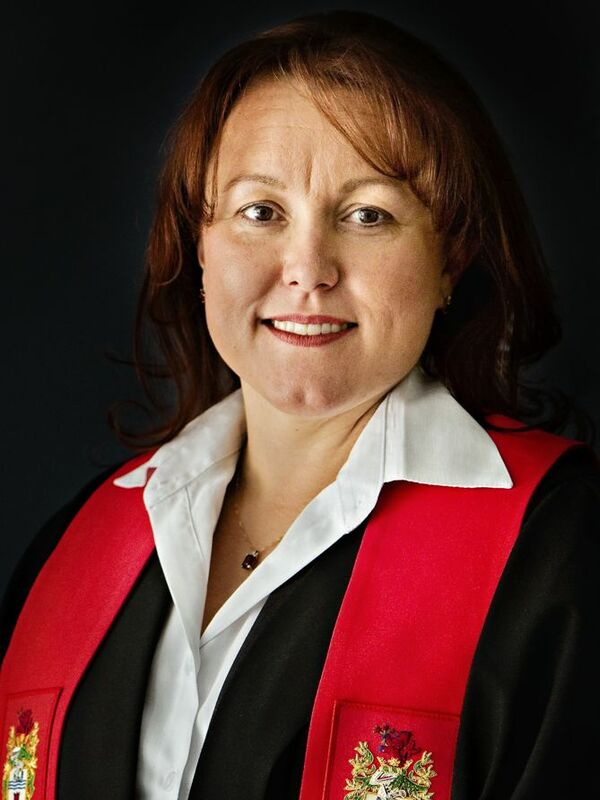 She has extensive experience on University committees at school, faculty and University levels, including School Boards, Faculty Boards and the Academic Senate (2014 - 2018). Her sustained academic efforts and contributions to advancing the field of research has been recognised nationally and internationally, including receiving awards from the Australian Academy of Science, the Indian Society for Parasitology and Scientific and Cultural Development, Tehran Civic Centre, Iran and being invited to major conferences as a speaker. Associate Professor Shamsi is also a member of the Council of the Australian Society for Parasitology, Australia-Japan Society for Promotion of Science and a member of the National Tertiary Education Union. Dr Peter Woodgate was Chief Executive Officer of the Australia New Zealand Cooperative Research Centre for Spatial Information (CRCSI) from June 2003 to December 2017. 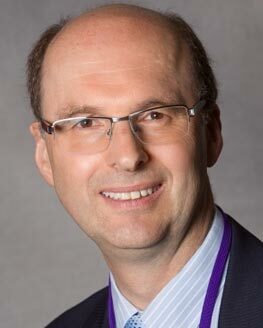 He is currently the Co-Chair of Australia’s 2026 Spatial Industry Transformation and Growth Agenda; a Board member of AuScope Limited; Board Foundation Chair of the Global Spatial Network; Founding Chair of the Open Digital Earth Foundation; and Co –Chair of the Australian Government’s Space Cross-Sectoral Interest Group. Dr Woodgate commenced his career with the Forests Commission of Victoria, where he spent time in forest research and forest assessment and managed remote sensing and GIS operations for the Department of Conservation and Natural Resources. As the previous CEO of the Geospatial Science Initiative at RMIT University, he helped create Spatial Vision Innovations Pty Ltd, RMIT’s first ever spin-off, the Risk and Community Safety Research Centre and RMIT’s Global Sustainability Institute. He was a founding Council member of the International Society for Digital Earth, and; has served as a founding Board Member of the UNESCO International Centre on Space Technologies for Natural and Cultural Heritage. He has a Doctorate in Business Administration from RMIT University, a Masters of Applied Science from the University of New South Wales, Degree in Forest Science from the University of Melbourne and is a Graduate member of the Australian Institute of Company Directors.